After concerns over its product led the Chobani Greek yogurt company to issue a voluntary recall of some packages earlier this week, the New York-based foodmaker now says the mold that was identified as the culprit is not dangerous. "Through extensive testing and expert consultation, we now know that the mold found in the products we voluntarily recalled this week is a species called Mucor circinelloides," the company says. "Mucor circinelloides is not considered a foodborne pathogen." 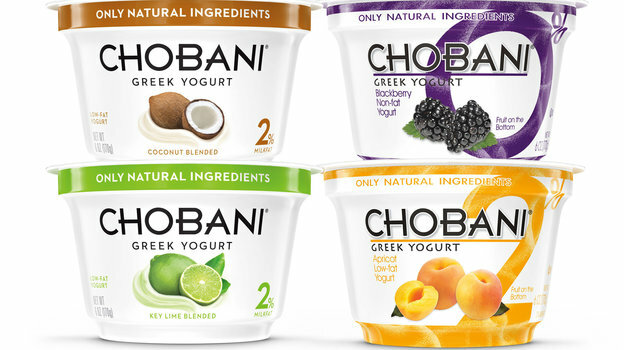 A week ago, Chobani said that it was investigating its production chain after reports of packages swelling or bloating. Customers' claims of illness led the company to escalate its response on Thursday, when it announced, "To be extra cautious, we have moved from a voluntary withdrawal to a voluntary recall." At the time of the recall, Chobani said it had successfully pulled more than 95 percent of the products in question. They were made at the company's new facility in Twin Falls, Idaho, which opened last December. Chobani asked customers who bought containers showing the manufacturing code 16-012 and a "best by" date between Sept. 11 and Oct. 7 to dispose of the yogurt and get in touch for a refund. "This mold should not pose a health risk to most consumers. Very rarely, it can act as an opportunistic pathogen, but not through food and usually only for people with compromised immune systems through inhalation. The organism is regularly used for the production of natural flavor compounds that are widely used in the food industry." Cornell says that Worobo was not paid to speak about the mold and that he offered his comments as a food expert, not as someone who had tested the products in questions, the AP reports. If you're unclear on your yogurt chemistry, we refer you to the National Center for Home Food Preservation, which reminds us that yogurt is made by adding bacteria to milk that has been heated.